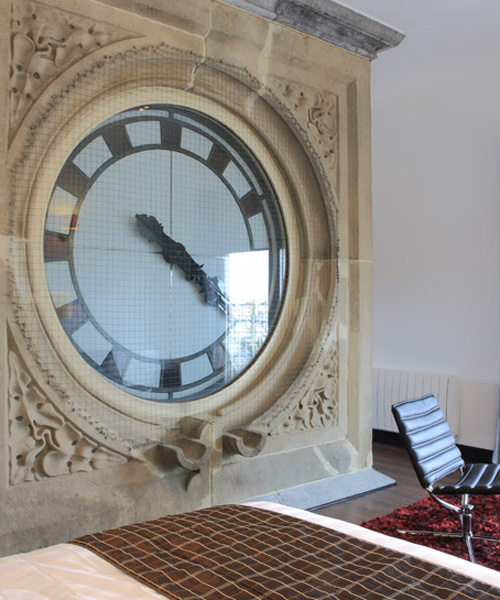 tazu rous, also known as tatzu nishi, has developed ‘hotel ghent’, a temporary structure surrounding the clock face of the belltower belonging to ghent’s sint-pieters train station. in this spatial encounter, the circa 1912 clock belonging to the bustling transit stop has been built into the center of a small rectangular room by the japanese-born and berlin-based artist as a relaxed setting for an up-close interaction with the previously inaccessible structure. for ‘hotel ghent’, rous created the room to function as both a private hotel suite in the evenings and stopping point for visitors of TRACK: a contemporary city conversation between the hours of 12:00 (noon) and 18:00 (6pm). to access the work, guests of tatzu nishi’s installation must climb approximately 75.5 feet (23 meters) above the ground on scaffold-comprised stairs to view the the bustling streets of this city, located in the flemish region of the country. the reinforced platform has been built atop an elaborate metalwork support system which scales the sides of the belltower, resulting in the enclosed rectangular installation. 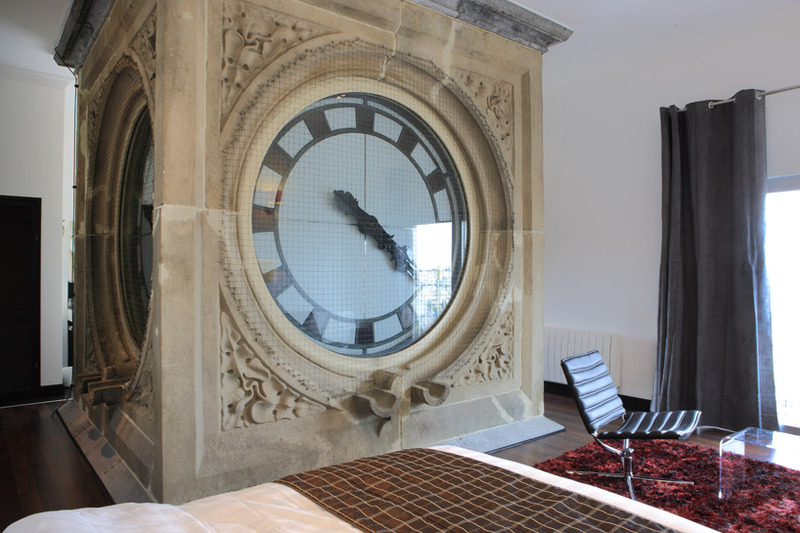 while hotel guest must book online in advance, visitors to ‘hotel ghent’ may come face to face with the clockface of the city’s main train station by purchasing a track-ride ticket. ghent’s intervention project, TRACK, officially ends on september 16th, 2012.
image by dirk pauwels via take art easy! image © tatzu rous via take art easy! forget the ticks and tocks. Look how it destroys the landscape.